A downriver race on this legendary section of river. This race is now Awesome 19! Beginning near the base of Summersville Dam, the race ends nine miles downstream. Paddlers must negotiate the 'ig Five' on the Upper Gauley and the finish line is at the bottom of a 12 foot drop called Sweet’s Falls. Over the years, this race has grown in notoriety and participation and the post-race awards party has become a popular event in itself. At the dinner, racers enjoy a buffet dinner, live music, prizes and a great party! 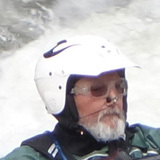 SO- C’mon paddle the Gauley like you mean it! Classes: Wildwater, Wavehopper/Speeder, Slalom, Play Boat, Open Boat, Shredder, River Boards, Duckie & 6 Person Raft Teams! Raft Teams please Pre-register.